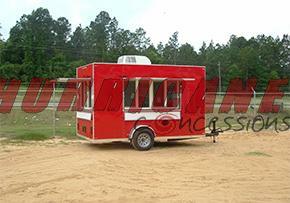 This great trailer can be customized most any way that you need! If you need a smaller trailer, check out our 7×12 base trailer. It comes standard with two windows, 3-compartment sink, handwash sink, cabinets and air conditioning. This is a good launch point. Add specialty equipment and the choices go on and on! GREAT FOR SHAVED ICE, COFFEE, MINI-DONUTS! Our coffee concession option could be the one to “espresso-ly” suit your needs! Our basic trailer can be decked out with a La Pavoni espresso machine, zip grinder, commercial blender, Bunn coffee maker, whipped cream dispenser, syrup pumps, steaming pitchers, and more to appeal to the barista in all of us. 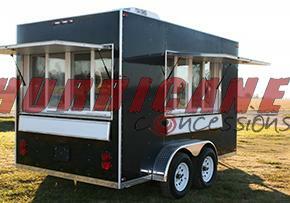 Our Asian Fusion concession trailer is the perfect option for Asian Foods. 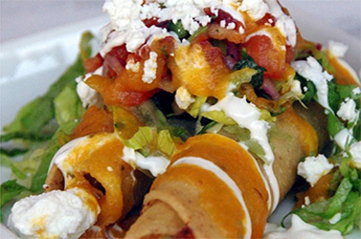 Asian foods are very popular among concessions because the food can be made quickly and it has a high profit margin. GREAT FOR Asian Foods, Noodles and Rices. 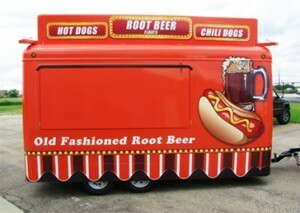 The trailer that has it all! This full-kitchen unit is equiped with Ole Hickory Pit Model EL. 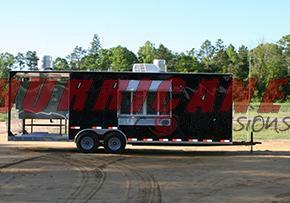 For the BBQ enthusiast, the pit in this all-metal constructed trailer has 45 sq.ft. of cooking surface. 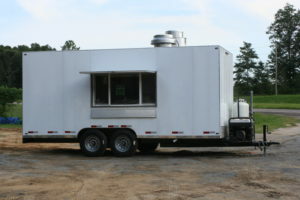 Inside is a 17’ kitchen with a 40 cu.ft. Coldtech fridge and an ice maker that can produce 210 pounds of ice per day. 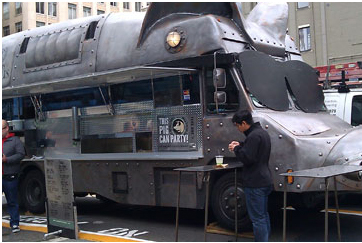 We don’t think you should have to compromise when using a mobile kitchen! 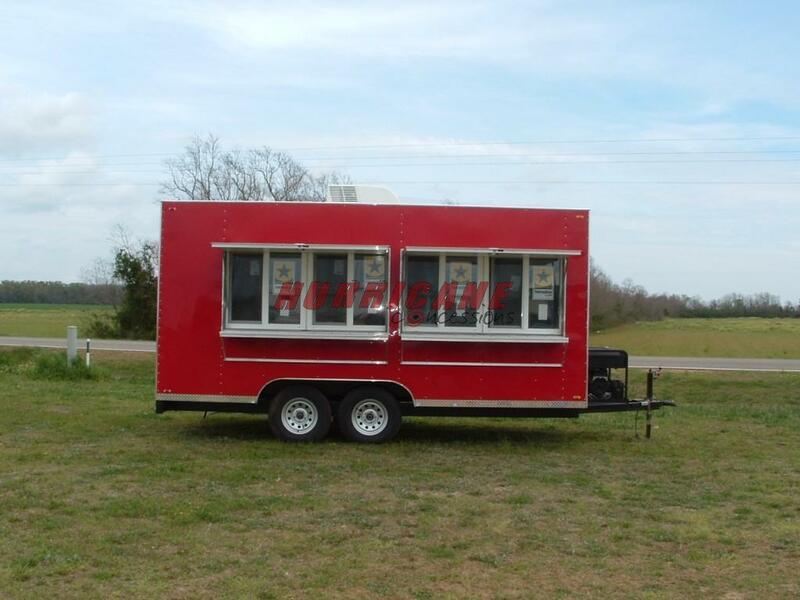 With a custom-designed mobile kitchen by Hurricane Concession, you can have a trailer that’s not just equal to a brick-and-mortar kitchen, but one that’s actually superior. We don’t do standard. Every professional chef has his or her own way of doing things. Each restaurant has its own unique flair. 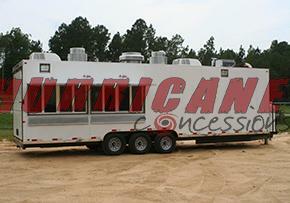 Hurricane Concessions & Mobile Kitchens has been meeting the needs of the outdoor entertainment industry for over 25 years. 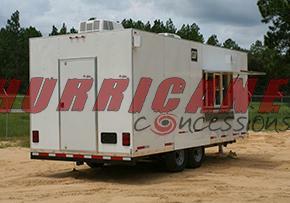 Providing custom-built vendor trailers to game trailers, large and small ranging from 12′ units up to 53′. Contact us and let’s discuss your dream trailer! Our facility is located in Lucedale, Mississippi, right off Highway 98 near the Old Mobile Highway. You can browse through our photo gallery and price list, and if you’re in the neighborhood, give us a call – we’d be pleased to have you visit and see our workmanship first-hand. © Copyright 2019 by Russell Consessions, LLC . All Rights Reserved.